Monday, September 25, 2017 by Isabelle Z. There is no shortage of cute animal pictures on the internet, and even those of us who do our best to avoid social media have seen more than our fair share of the celebrity du jour posing with their designer pets. It might all seem like a bit of harmless fun, but some of these trendy dogs are suffering health problems because of the way they are bred. In the U.K., politicians and vets are issuing a warning that the unregulated breeding of many of these designer breeds of cats and dogs can lead to painful health conditions. Conservative minister Lord Gardiner said that breeding and owning designer dog breeds like pugs is a “self-indulgent” act given the genetic defects these animals suffer. Ministers said the government should be doing more to publicize the risks of owning pets that have been genetically modified, and they are calling for stricter rules governing the breeding and online sales of such animals. The popularity of “brachycephalic” breeds – those that feature flat or shortened faces – has been on the rise, and this is due in part to posts on social media made by celebrities who own these pets. They look awfully cute in pictures with their wrinkled noses and squashed faces, but many of them are suffering from breathing problems because their airways are simply way too short. 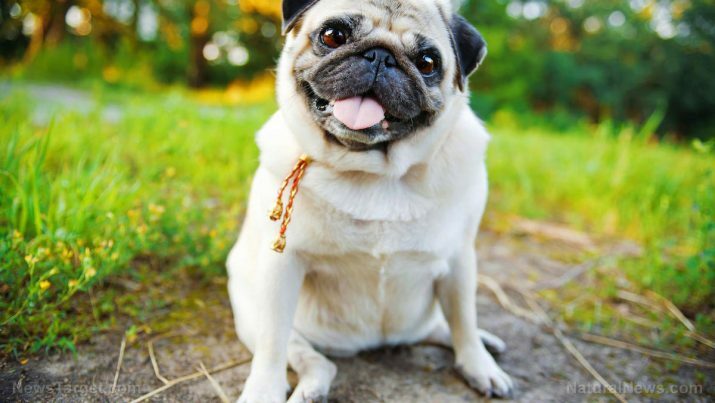 Pugs and Scottish-fold cats often experience “intolerable pain” and improper breathing because of their deformations caused by breeding, and many of these animals are prone to eye infections because the shape of their face as well as infections in the folds of their skin. Many people are simply unaware of the problem and buy these animals thinking that they are naturally meant to be this way. It’s only later that they discover the pets must deal with a lifetime of distress and poor health due to their breeding. U.K. Environment Minister Lord Gardiner said that animals should be respected as they are, and he plans to clamp down on the breeders who are a big part of the problem. In addition, he recommends that people who want a new pet head to animal rehoming centers instead of buying puppies online. These dogs, whose skulls are considered to be abnormally short for their species, develop their look from intense selective breeding. Some of the dog breeds affected include bulldogs, pugs, shih tzus, bull mastiffs, Pekingese, and Cavalier King Charles Spaniels. In addition to breathing problems, some of the health problems these pups deal with include heart problems, paralysis, eye ulcers, overheating, and spine abnormalities. Flat-faced dogs often must undergo surgery, and owners can spend thousands of dollars on treatments throughout their lifetime. British Veterinary Association President Sean Wensley called these breeds’ popularity a “worrying trend” and encouraged people to choose healthier breeds or crossbreeds instead of driving up the demand for these genetically modified pets. Sadly, many people who buy these dogs are not aware that they won’t be able to frolic in the grass and play fetch with their children all afternoon; some can barely make it up a flight of stairs. This leads many of them to be abandoned as their owners realize they are in over their heads with costly treatments. Dog rescue companies have told the BBC that animals from these breeds have been given up in bigger numbers lately, with some reporting rises of 39 percent in the number of flat-faced dogs taken in to their shelter in just a year’s time. The charities often try to operate on these animals to remove obstructive tissue and widen their nostrils to help ease their suffering. While the operations can help improve their quality of life, they do have risks and recovery can be quite uncomfortable for the animals.